MAKERS Money (< click to watch!) 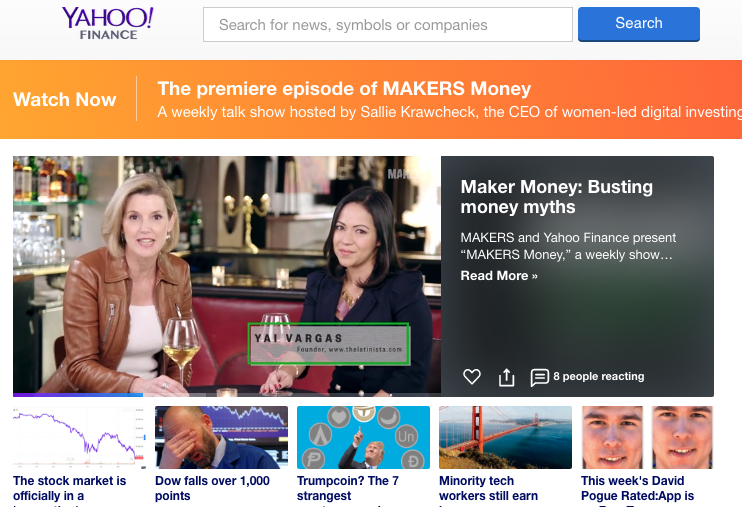 is a new weekly digital series produced by MAKERS and Yahoo Finance that will show women how to achieve one goal: To "live the most badass life possible." The Latinista founder Yai Vargas sat down with Sallie Krawcheck to discuss money, The Latinista and the fact that women don’t invest as much as men do.